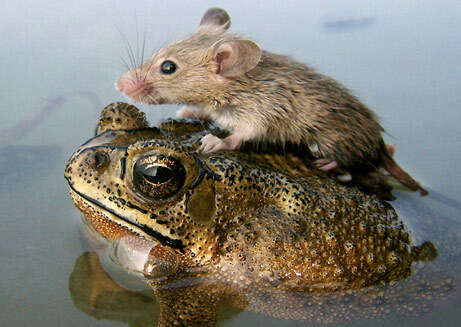 rodent | Animal on Animal. It was many years ago now. Long before that fashionable decade of the 80s that everyone seems to be obsessed with these days. Science was being pushed forward by highly trained maniacs with beards and crazy drugs. A new experiment was proposed: “The Amazing Fuse Us Together With Magical Witchcraft Business” it was called, or TAFUTWMWB for short. The idea was to fuse the minds and bodies of multiple beings into one larger being, for no good reason. An international bulletin was put out, “Sign up for excellent science experiments and become well famous, yeah?” it read. 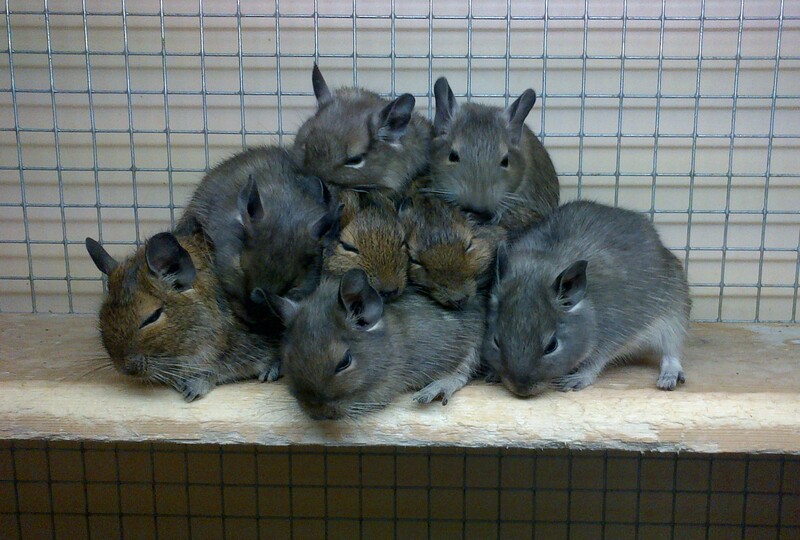 A troupe of eight degus (who were close friends already) answered the call. Nobody truly knew why they signed up for it, perhaps they were mental? Perhaps it was peer pressure? Perhaps they just wanted to be famous and get loads of money but didn’t really know the true gravity of trying to fuse eight degus into one being? It was all over the newspapers, on the 16th page. Pictures of the brave degus wearing sponsored trainers and going to the latest movie premières, hanging out with celebrity imbeciles on rooftop terraces. For a few months, they lived the hollow high life that so many of us ache for (thanks to excellent television programming where people sing and become famous for a week and then swiftly become ridiculed by millions). But then the experiments began. The horrible experiments. They were forced to eat crackers without cheese. They were forced to go to pubs but only drink juice. And then they were strapped to tables and zapped with laser beams. So the scientists were all shot. Thanks to Craig (submitter) and Heather (possibly photographer, possibly just the person that sent it to Craig, nobody can remember).